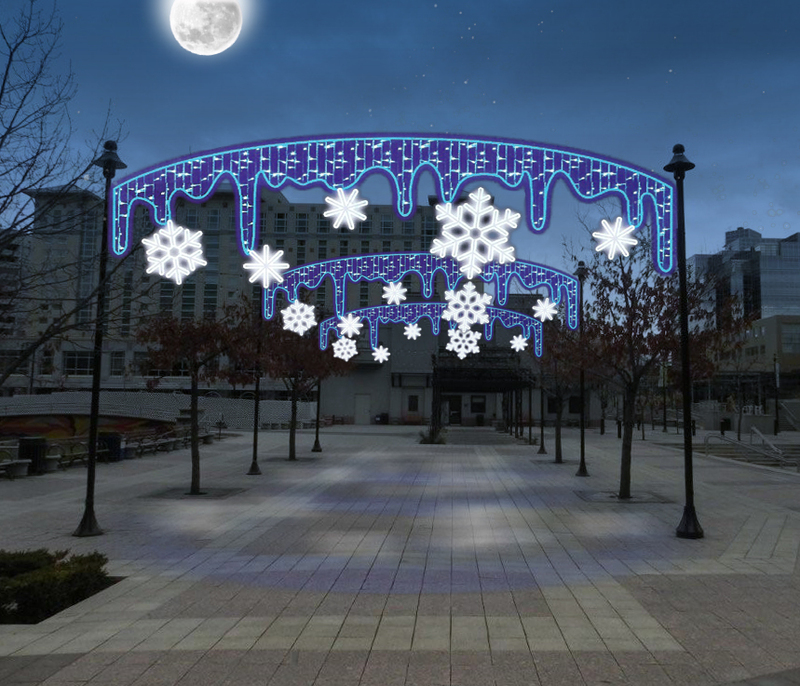 Led Motifs are a great way to get attention they can be used inside or outside.Holiday Motifs can be signs,shapes or logos. Christmas Motifs are made of solid PVC rope light and various led bulb spacing.They are available in painted metal or non-rusting aluminum frame, Powder coating, or plastic coating frame options. UL Listed for Indoor/Outdoor use. We make cross street motifs,pole mounted motifs,wall mounted motifs. NOTE: Please allow a minimum of 10-14 days lead time plus shipping to manufacture motifs as they are made to order. *Don't see your motif here send us your specs and contact info and we can get you a quote.